As Murdo Anderson nears departure for the Marathon Des Sables, he talks us through final preparations & acclimation. 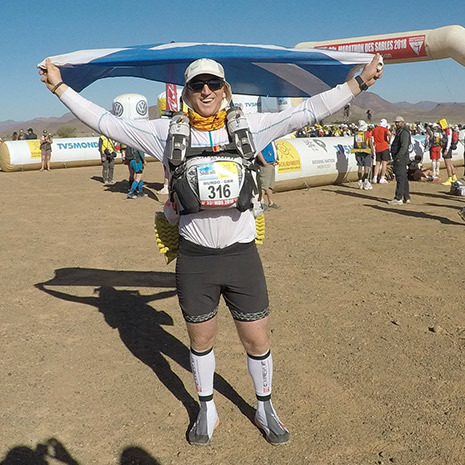 In our multi-part blog series, former front-5 player Murdo Anderson takes us through his preparation for, and participation in the Marathon Des Sables 2018. 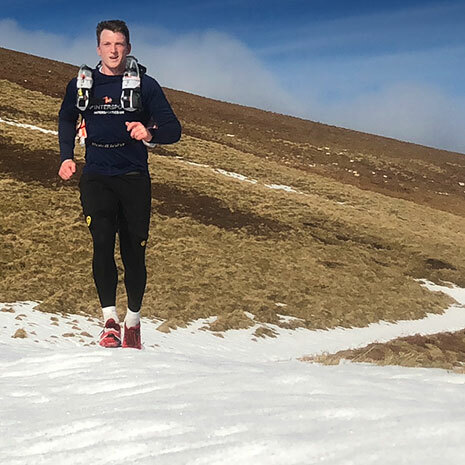 Murdo is running the Marathon Des Sables in April to raise money for Doddie Weir and MND Scotland. The past couple of weeks have seen my training go from daily, long runs, to running every other day, cutting the distance back. This is primarily to let my body fully recover and be as refreshed as possible before the start of the race. Also, I’m really focussing on getting the most out of each of these sessions, quality, not quantity, as they say. I’ve had two sessions in Edinburgh Napier University’s acclimation chamber, which has really helped with my preparation. This allows me to run in the dry heat climate that I’ll be experiencing in the Sahara, with temperatures increasing between sessions allowing my body to physiologically adapt. This is basically a modern sports science technique of training in exposure, allowing the body to slowly adapt to behave to the most suited possible method in the conditions, in this case, better at reducing core temperature. These sessions have been tough mentally, as I’m basically in a very hot white box, on a treadmill, for an hour, by myself. However, I’m now feeling as fit as I’ve ever been, with just over a week before I leave. There was one serious issue this week! The race organisers state you must have an electro cardiogram (ECG) test done within a month of the race starting to show you’re not going to die. I went in to my local GP to get the simple test done, only to shockingly find out the results said I had abnormal heart beat. A week later, a lot of stress, chasing paperwork and a (very!) expensive trip to Spire later and I have the certificate signed. The result was I have a fairly common adaptation some athletes get. Since the heart is a muscle, the more it works, the more it can increase in size. The result of this endurance training has made this increase in the size of my heart to alter the way the heart beats are reported into an ECG! With just over a week to go it’s the final preparation, bag packing and paperwork to sort out before I head off. Rugbystore.co.uk, and our sister website Intersport.co.uk, supplied Murdo with a range of kit for his Marathon Des Sables training and preparation. Winter training in Scotland means dark runs in cold and challenging conditions. Now Murdo is undergoing acclimation training, he’s been relying on lightweight tees and shorts, much like he will in the Sahara. CLICK HERE to see some of the rugbystore.co.uk kit Murdo has relied on for his training. 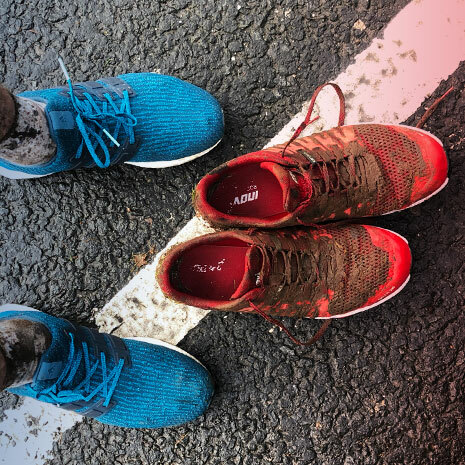 For the specialist running kit Murdo has been training in, CLICK HERE to see it on our sister website, Intersport.co.uk. Exposed to a multitude of adventures from a young age – kayaking, hill walking, rock climbing, even trekking in the Himalayas – Murdo Anderson has always loved sport. 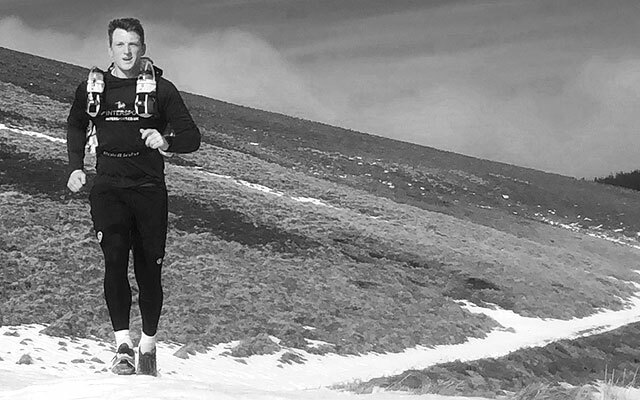 A very keen club rugby player, injury forced Murdo into early retirement and his focus shifted to ultra distance running. The appeal of testing both physical endurance and mental strength is what really gets him going. Who knows what he will attempt after the MDS! Visit Murdo’s Just Giving page here: www.giving.com/murdoandersonmds. Find out more about MY NAME’5 DODDIE, the charity set up by former Scotland lock Doddie Weir to raise funds for Motor Neurone Disease.